Sketchbook floral trail adorned with butterflies brings nature indoors and adds whimsy to your surroundings. Neutral and versatile black and warm white colours. Experience the sophistication and personality wallpaper adds to your dicor without the hassle. 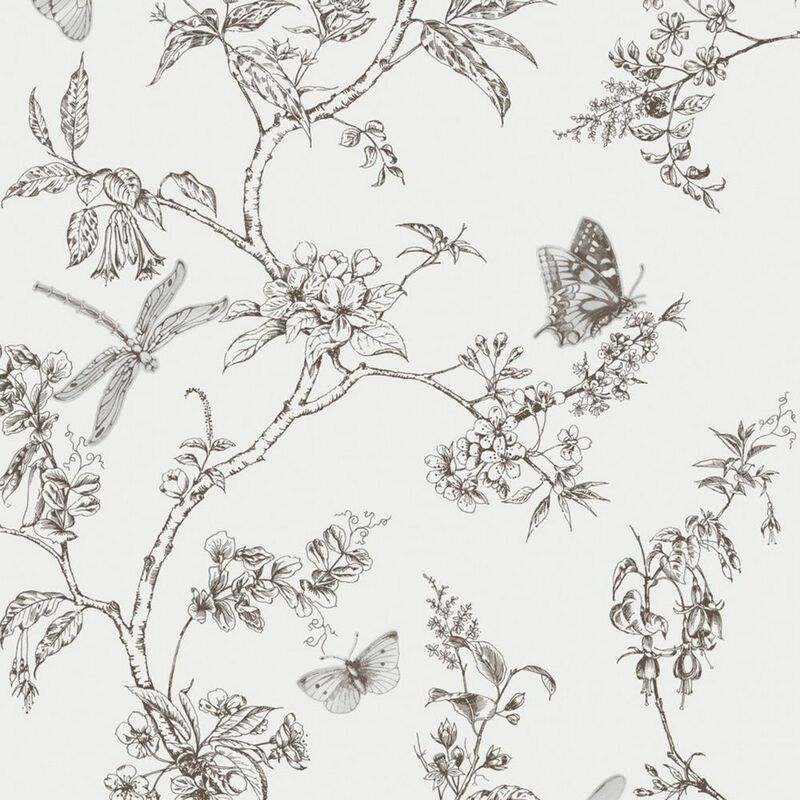 Nature Trail Black/White Wallpaper Sketchbook floral trail adorned with butterflies brings nature indoors and adds whimsy to your surroundings. Neutral and versatile black and warm white colours. Experience the sophistication and personality wallpaper adds to your dicor without the hassle.